Are you on your grind? Well what does that mean for you? Too often independent artist's are just busy, going to networking event after networking event. From free shows, to benefits, to showcases you have to sell ten tickets for (or dish out the money yourself). This is done in the ever elusive pursuit of "getting out there'. 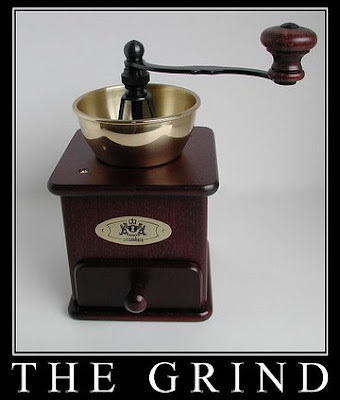 But this is not the true grind. I will share with you the true grind, but I'm sure you're not going to like it. It's not as easy as being busy. It's not shiney, it does'nt sparkle, and you have to be much more humble, persistent, and intelligent. The true grind is having a steady income, so that your bills and responsibilities are taken care of. In turn you will have money to invest in yourself, and in your music. This is challenging because you only have so many hours in a day, and only so much energy. This is where the grind happens. After work you have to come home and work on your craft, everyday. Even if it is only for one hour. The more time you can dedicate the better, but you have to develop a routine of productivity. You have to master your craft. Then you take that hard earned money and invest it in yourself, intelligently. Find a great studio, work with a great producer, get great pictures taken, go to important conferences, join professional music organizations, and only book important or well paid gigs. Learn. Grow. Polish. Persist. Re-imagine. Then repeat. Do this over and over again with an unrelenting spirit of enthusiasm and optimism and you will go far. This is not work harder, this is work smarter. This is not 2 years in NY or LA trying to make it, this is a life journey.